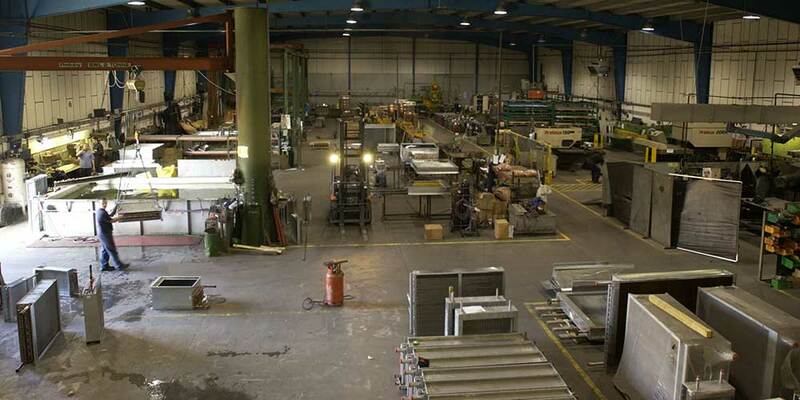 Whilst manufacturing new equipment to order Eurocoils also undertake the Replacement, Refurbishment and Repair of heat transfer equipment either by manufacturing the equipment at our own facility or by supplying the equipment in 'kit- form' for assembly on site. The Replacement and Refurbishment of equipment on site is a service that Eurocoils have developed from many years of experience in providing engineered solutions in challenging circumstances, from an initial site survey and appraisal through to manufacture and installation. The access around or too air handling plant can at times be limited, to address this procedures and techniques have been developed that are specific to Eurocoils and allow equipment to be supplied suitable for site assembly by experienced personnel, allowing clients the confidence that installations even in the most demanding locations can be achieved. Greater consideration is now given to extending the life of air plant and replacing or refurbishing systems and components and in some circumstances increasing the performance of the plant to suit changes in operational conditions. Regardless of the requirement Eurocoils are uniquely positioned to provide full solutions to these situations. Changes in building regulations, specifically associated with energy consumption and heat recovery, require the introduction of heat reclaim equipment into existing systems and as manufacturers of bespoke equipment Eurocoils can provide solutions for most circumstances.